“Try before you buy” is a business model that works well across all industries. “Try before you buy” also works great with apps. 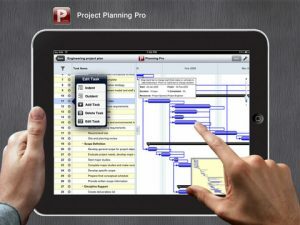 And chances you, you’ll get hooked on the first free hit ofProject Planning Profor iPad, developed by i2e Consulting LLC. 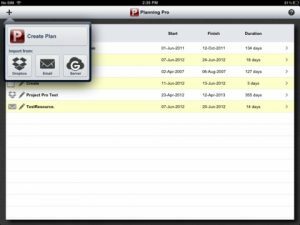 Project Planning Pro is an iPad app that’s free to try, but you’re pretty likely to get drawn in enough to purchase the in-app upgrade to the full Pro experience. It’s a bit pricey at $14.99, but then again, all the great business and productivity apps cost around that much, and are well worth the investment. That being said, it might be hard for some users to see the benefit of Project Planning Pro when just using the free features. 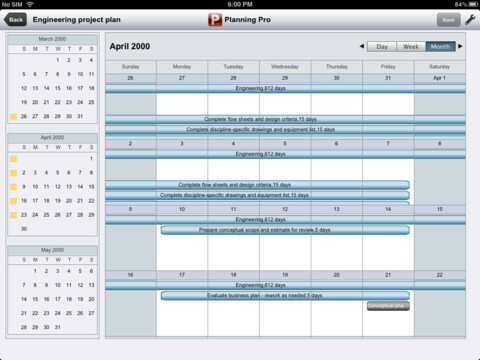 In free version, you can only create one project plan and import one plan with read-write access. You can import two additional project plans in read-only mode, but it still feels a bit limited. 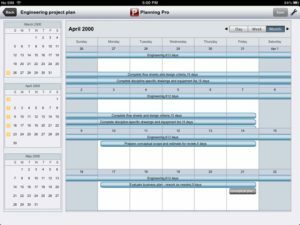 I wonder if Project Planning Pro would grow its user base faster by using a free trial period model instead, where users could use the app in an unlimited fashion for 7-14 days before having to pay for the upgrade. However, you’d be hard-pressed to find a better iPad app for teams that rely on MS Project for day-to-day and long-term project management. 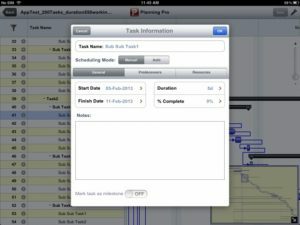 You can create project plans, add tasks, link tasks, assign resources or manage your existing MS Project plans all from your iPad with ease, making Project Planning Pro a great tool for anyone who’s on the move a lot. One downside is the self-admitted limit on file size. 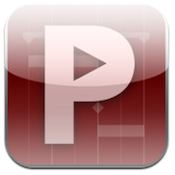 According to the developers of Project Planning Pro, the app will have optimum performance only when working on imported project files under 10 Mb, or with plans with a project task count of less than 250. For massive projects, you may find that Project Planning Pro gets a bit sluggish. For most users, however, that’s more than enough power, making Project Planning Pro well worth their hard-earned cash. 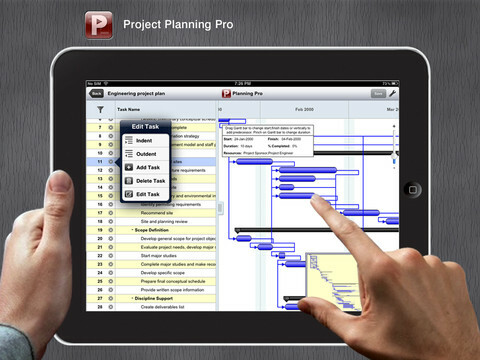 Project Planning Prois compatible with iPad. Requires iOS 5.0 or later. A small expedite fee was paid by the developer to speed up the publication of this iPad app review.